Musings of the OCL Executive Director: A New Ecclesiastical Year – So What? You are at:Home»Governance & Unity News»Governance & Unity Essays»Musings of the OCL Executive Director: A New Ecclesiastical Year – So What? 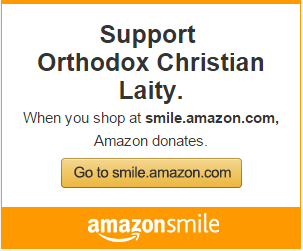 It is time for the Orthodox Christian laity to speak up and to act. We come to the end of the ecclesiastical year and the beginning of a new one. This is a time for serious reflection concerning canonical leadership and responsibilities related to church governance. What do we expect from the Assembly of Bishops? We begin the new ecclesiastical year with the meeting of the Assembly of Bishops which will take place in Cleveland on October 1-4, 2018. 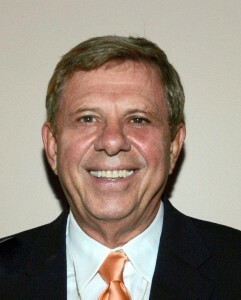 As of late August, there is no information on the Assembly’s web site about the meeting. The Assembly web site provides little information which really reflects the work of the Assembly. Even if they meet, what can we expect? 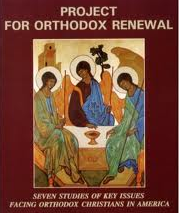 Are we closer to a canonical and unified Pan Orthodox Church in the United States? We can blame Old World Synods, but the disunity lies with the bishops who reside in the U.S. They refuse to see themselves as Christ’s successors shepherding and ministering to their own flocks in this geographic area. The Greek Orthodox Archdiocese (GOA) is an Eparchy of the Ecumenical Patriarchate in the West. The Metropolitans are auxiliary bishops of the Patriarchate. The Patriarchal Church of Russia is an instrument of the foreign policy of the Russian Federation and its allies in the Assembly including Bulgaria, Georgia, along with Russian Orthodox Church Outside of Russia (ROCOR). Together, they form a complex and obstructionist block. The Antiochians are not participating because of the issues in Syria. They have disengaged from the Assembly. The hierarchy cannot even agree on what “consensus” means. They know both the problems and the solutions. They are stonewalling; held hostage by the foreign Synods that appointed them. If they had courage and were missionary shepherds of Christ, they would declare themselves a synod and together set diocesan boundaries. They would decide which of them is assigned to lead each diocese. They would develop unified pastoral guidelines, uniform policies, and support a world class indigenous theological seminary. The impediments to unity require working in unity and consensus. Once they function as a synod, they could approach the old-world hierarchs to become an autocephalous Church. Being a synod is the required first step. The bishops must trust the power of the Holy Spirit to guide them. They must stop the religious decline that we see in our churches today. The laity must assist them by their prayers – and by exercising strict financial oversight — even if that means conditioning financial support on progress in achieving unity and accountability and transparency in governance. Why should a pan-Orthodox ministry address the crisis in the Greek Orthodox Archdiocese? When one member of the body suffers all members of the body are affected. There are ample reasons, not only to blame the Patriarch, the Archbishop, the Metropolitans and their appointees, but also the other related church groups on the subject of trust, accountability and governance. In the case of the GOA, the Patriarchate has made incredible blunders. Abrogating the GOA charter, fragmenting the Archdiocese, creating Metropolitans who report to Istanbul, setting up a shadow administrative structure directed by a clergyman to raise money, do public relations, and act as lobbyist for the Patriarchate. The members of the Archdiocesan and Metropolis Councils have enabled these actions. The economic crisis that exists in all the institutions of the GOA, including the College and Seminary in Brookline, MA, are a result of laity and clergy not exercising systematic and careful oversight. To rebuild the GOA, we must acknowledge that while this crisis may not have been caused by the rank and file laity, it can only be solved by the clergy and laity in the U.S. The rank and file laity in the parishes need clergy not only to exhort them to “pray, pay and obey,” but to encourage and empower them to exercise active and responsible oversight. If the GOA, and all other canonical Orthodox Christian jurisdictions are to survive and grow in the U.S., both the clergy and laity must also no longer be quiescent and passive. Trust needs to be restored for progress to take place. Lay leaders who are prominent in finance, banking, law, accounting and business, as well as other talented faithful who agree to serve the Church at the Parish, Metropolis or Archdiocese level, must not leave this knowledge behind when they sit on church councils and committees. Unquestioning, quiescent, passive, obedient and deferential laity are responsible for what has happened in the GOA and all other jurisdictions. The U.S. clergy and laity together must speak up and act continually for the sake of Orthodoxy in America. Next Article If this web site is meaningful to you, support OCL with your Donation via Pay Pal! The issues of course are exactly the same in Europe. I could have written this article myself. Money talks. Go figure. I am a priest of the Antiochian Church in the UK. Archpriest Gregory Hallam.